Socialist, trade unionist, and bitter critic of the Congress, Fernandes was, to those who didn’t know him, a complex bundle of complex contradictions. He began life in Mangalore in a – relatively – middle-class Catholic family, and if life had led him where it wanted him to go, he would have become a priest. 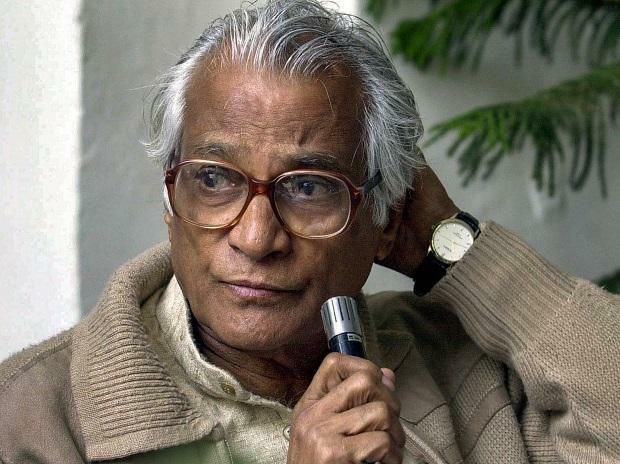 But being George Fernandes, he fought traditional trajectories. He got associated with the Socialist movement which itself was going through a trauma. Stalin’s excesses and the resistance in Poland and Czechoslovakia had fired the Socialist imagination – Fernandes’s too. At home, India’s resounding defeat in the war against China had led to a split in the Communist movement and the branding of China as India’s enemy number one. Indian Socialists might have been internally divided but they avoided the intellectually lazy trap of nationalism and instead embraced internationalism. As a member of the Socialist international, Fernandes absorbed and gave to the socialist movement ideas from India as he rubbed shoulders and discussed problems of society, class, democracy and international unequality with greats such as Olaf Palme of Sweden and Bruno Kriesky of Austria (both called for his release during the Emergency). In a sense, when Fernandes became a minister for the second time in the Atal Bihari Vajpayee government in 1998, he was, in an alliance of largely inward-looking forces, the only internationalist. His opposition to the Congress brought him in close vicinity to the BJP and he defended his partner, even while disagreeing with the party on several issues. This was another side to Fernandes’s famed duality. The attack on Christian missionary Graham Staines, his murder and killing of his two little sons in Orissa by a mob led by Bajrang Dal member Dara Singh saw Fernandes giving an extraordinary exculpation to the BJP (and the incident itself). He attributed the event to an international conspiracy mounted by those who wanted the BJP government in power at the Centre, to go. He saw no blame to the BJP, its Rath Yatra or the build-up of communal fervour in the events leading up to the demolition of the Babri Masjid. Instead, he charged that it was the Congress which was the biggest communalist, and had aided and abetted riots as a way of reminding minorities that they needed to be in its thrall or suffer the consequences. It was a point of view. Fernandes had had time to refine this view – he brought together disparate forces in Delhi and elsewhere by launching a loose group of civil liberty groups to protect Sikh families in the aftermath of Indira Gandhi's assassination. Almost everything about his life is known – both as a prisoner during the emergency, the most enduring image being his raising his manacled shackled wrists when he was produced in court – his escape, disguised as a Sikh, the famous Bombay strike and the Baroda dynamite case (in which he was charged as a conspirator but the charges dropped when the Janata Party came to power). But it is in his second coming as Minister of defence in successive Atal Behari Vajpayee governments that Fernandes really came of age. He left the strategic part of thinking of defence to his colleague and friend Jaswant Singh – except writing a letter to US president Bill Clinton in which he claimed that India had conducted the nuclear tests because its wanted to stay safe against enemy number one, China – a claim he later denied though no one was convinced. Instead, he did what came to him most easily – working on the ‘soft’ side of the defence, welfare of officers and the jawans. The armed forces scheme for health is Fernandes’s contribution. His visits to Siachen made him one of the most visible, easily identified and beloved defence ministers in India’s history, especially among the jawans. Ironically, always the one to stand up for the underdog, Fernandes proceeded against and sacked Adm Vishnu Bhagwat, Chief of Naval Staff when as Chief, Bhagwat recorded that the elevation of one of his colleagues, recommended by the Cabinet, was a decision that was ‘unimplementable’. Some ‘corruption scandals’ were reported during his ministership, but they rested on flimsy grounds: and the courts acquitted him in all. Fernandes had to leave his Krishna Menon Marg (which had no gate – that he had broken and dismantled as a political statement) when his family reclaimed him after a long hiatus, the Congress came to power and he had lost the elections. Along with the house, had to go his dogs and his family of refugees who lived there – Burmese, Tibetans, Tamils, Manipuris and others. He fell and suffered a stroke, was diagnosed with Alzheimer's Disease and gradually could not recognize anyone. In his passing, many will mourn him – even those who disagreed vehemently with him.